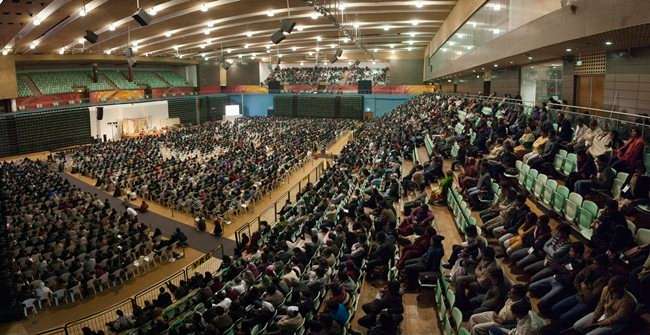 From 18th to 20th January, Sadhguru conducted an Inner Engineering program for over 3500 people in New Delhi. It was a rare opportunity for the participants to be with Sadhguru for the three days during the program, where they were initiated into the ancient yoga kriya Shambhavi Mahamudra. 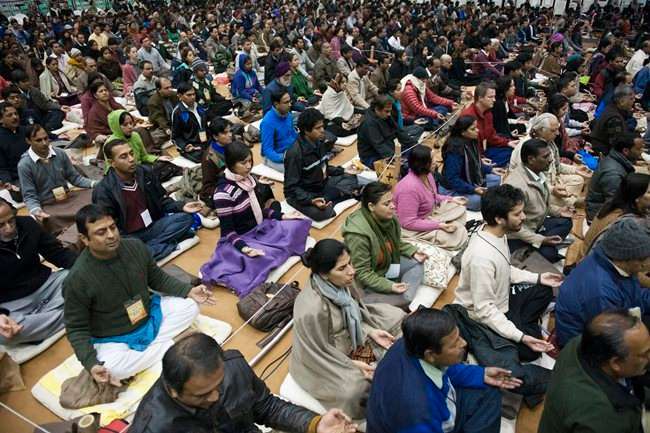 From 18th to 20th January, Sadhguru conducted an Inner Engineering program for over 3500 people in New Delhi. It was a rare opportunity for the participants to be with Sadhguru for the three days during the program, where they were initiated into the ancient yoga kriya Shambhavi Mahamudra. Similar programs have already been conducted across Tamil Nadu and Karnataka in the last year with close to 50,000 people attending the programs. “Anand Lahar, is not about three days of program – it's a festival that starts six months prior to the starting date. 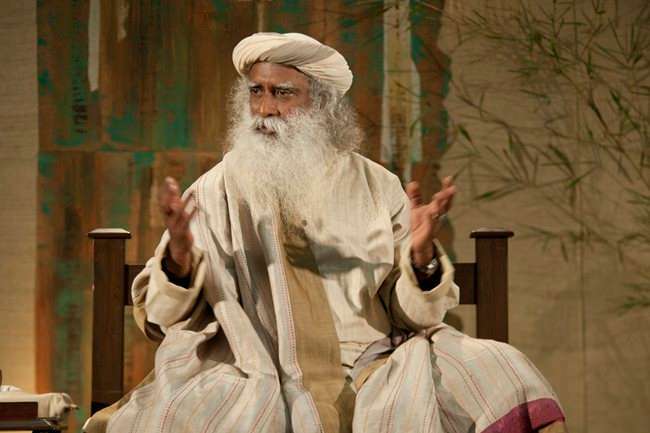 The fact that Sadhguru himself was coming to conduct the course was enough to give me an adrenaline rush. I had never thought of what to do, how to do, what particular activity to work in, but I just knew I wanted to take part in the volunteering. I have never been this giving, peaceful in my entire life. It was a very gradual process, but slowly it started blooming in a way I never even imagined. After the Anand Lahar program launch, I was totally different; the fire within me to reach out to people was alive. Initially I started off handling phone calls and then I was given the job of handling online registrations, which is very fun and demanding work. It was like a new born baby that grows every day was given to me to handle – you miss online queries, then you miss its signals. All the activity and troubleshooting kept me on my toes every day. In my dreams also, I used to assign calls and do follow ups. Slowly, slowly one after another limitation started falling apart. I have never been this giving, peaceful in my entire life. On the eve of 18th Jan 2013, I felt like I had an exam next day – so many preparations had to be done. The morning started with a buzz, and I never realized when the day ended. For me, it was not about just handing kits to participants; it was a way to welcome them to the transforming weekend they came to experience, to make the participants comfortable, focused. It was so exciting to see people in person whom till now I had only talked with on the phone, connected through internet – all of them committed to the program for those three days. It felt like an achievement that the extra mile I took to help transform others was accomplished. There was a time when I never wanted to volunteer, and now the more I volunteer, the more it feels is not enough, it's insufficient. Giving myself completely out for others' wellbeing was so touching. I wanted to involve myself in every activity that was going on. I was honored to serve lunch to participants on both days. The feeling was as if I had invited guests to my own wedding, from sweeping the floor, setting up the table, and coordinating – all this made me more humbled, touched to do anything for others well being. The involvement was so intense that there was no thought about food or comfort. It just happened as was needed; there was absolutely no identification with my likes and dislikes. Giving myself completely out for others' well being was so touching. I wanted to involve myself in every activity that was going on. I had to explain to myself that I can't do everything, so instead I just put my heart in the activity that I was allotted. It has completely changed me, shifted my energies to a different level. The participants I registered for the program are calling and sending messages to me to share their experience, updating me with their practices, thanking me for registering them. It's overwhelming and touching to know that my small step has reached out and created such a tremendous experience for people . I was there for the Event and it was a great experience..... My humble gratitude to Sadhguru for sharing so many things with us........ And Kudos to the Delhi volunteers for doing such a fantaboulus arrangements..... Namaskaram......!!!!!! What a beautiful post! Words will never be able to suffice when describing my gratitude toward you. My husband and I recently attended the IE program in Detroit, Michigan, USA in October 2012, and we were completely blown away by the love and dedication of the volunteers. Because of their selflessness and combined efforts, it was possible for us to experience a dream come true: receiving Sadhguru's grace in person. We cannot wait for the day when we, too, have the opportunity to return to IE as volunteers. Thank you for making this life-changing experience possible for others. I was there. It was something that I have never experienced in my life. No words can describe the quality of those three days. Drunk with bliss now I roam everywhere. I learnt so much by volunteering. So many occasions the 'I' was never there... as Sadhguru says... it is just dropping the 'I' and .giving oneself for a higher purpose. This losing the 'I' happens on its own when we are involved and totally into the activity. I was very impressed with the dedication of the volunteers and discussed it with my wife, who had accompanied me to attend the program. The motivation, with which they went about their duties is worth the praise and later when I went through the program, I could understand why. It bought a sense of peace deep within and nurtures a feeling to give or to contribute and take responsibility in a deeper sense.I bow down to Sadhguru and his large undertaking and hope I'll be there to contribute in my own capacity. thanks for inspiring post.its like reliving mumbai mega program. Wonderful experience. I am going nostalgic about the days we volunteered during Mega Program in Chennai. Wondering if i would have another opportunity to completely offer and be in such an energetic place &amp; divine presence..
Me too the same felling! when i read this article. Absolutely no friction...no chaos...the way isha-volunteers handled such big event! I wish to hv a CD or download-link for bhajans, sadhvi ji did in this prog. They wr fabulous, meaningful, v 'karunaatmuk' &amp; made me cry meditatively! Isha Kriya for the Boys in Blue! An Isha Volunteer shares his experience of offering the Isha Kriya DVD to all the players and coaching staff of the Indian Cricket team.